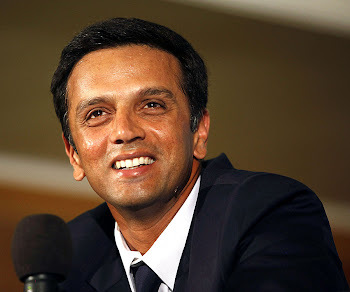 Rahul Dravid: Dravid captain of IPL Bangalore team? Dravid captain of IPL Bangalore team? A great news for all Dravid fans.Rahul Dravid has accepted the request of leading the Bangalore team in IPL.It will be interesting to watch him in captain's role again. The owner of Bangalore team in IPL,Mr.Vijay Mallya said,"Yes, I have spoken to him and he will lead the side. Everyone looks up to him and an iconic player has to lead the side." Anil Kumble and Robin Uthappa are also set to be the part of Dravid's team. It is really a good news for all Dravid fans.Remember the way he was thrown out of the team.He was a captain on one day and within 10 days, he was not even a part of Team India. It will be really a treat to watch him play again, especially as a captain.But his performance will not affect selectors (a bunch of jokers!) to change their decision,for sure (because they are a bunch of jokers!!). Great news! But is he suitable for the 20-20 games?